Ron Buonocore and his wife greeted supporters today at the grand opening of the Buonocore for Jersey City Mayor Heights headquarters. The Heights hq. is located at 461 Central Avenue (near Congress Street). 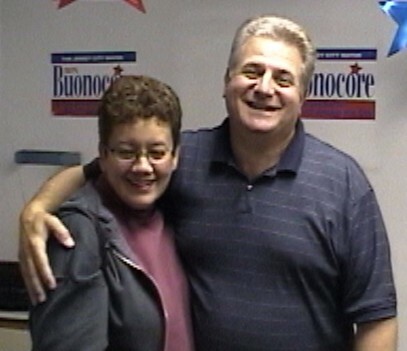 : Ron Buonocore and his wife greeted supporters today at the grand opening of the Buonocore for Jersey City Mayor Heights headquarters grand. The Heights hq. is located at 461 Central Avenue (near Congress Street).